with our Austin Solar Screens! Our Solar Screens Austin TX Products Will Stop the Sun's Heat! Using Twitchell's Highest-End shading Fabric, Textilene. If you are looking for the most effective way to reduce the amount of sunlight penetrating your home, think Austin Shade Team. 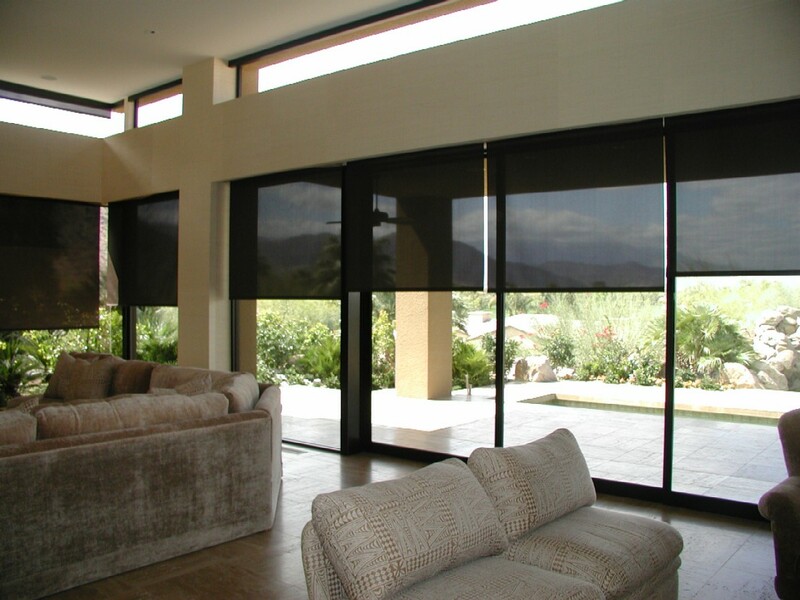 Offering both roller outdoor shades for your patio and solar screens for your windows, you can have the protection (shade) you need while reducing your energy bills and keeping your home comfortable all summer long. 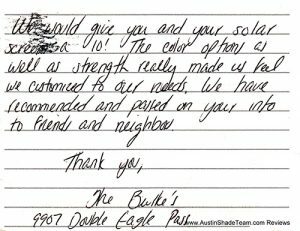 "At a Value That Can't Be Beat, Our Austin Solar Screens Will Stop the Heat!" We have plenty of reviews to read. Here we post just some of those from our happy Solar Screens Austin Texas customers. 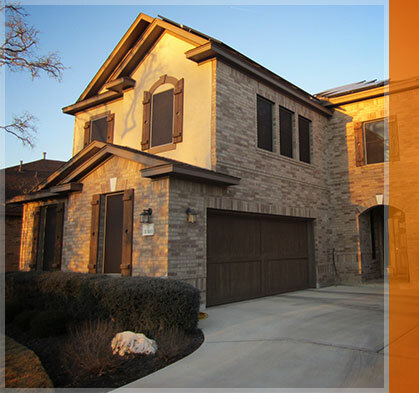 Our Austin Texas solar screens can be your home’s best friend as much appreciated outdoor shades. Our solar screens Austin TX products will shade your windows (home or commercial) and eliminate the heat from hot windows from transferring inside. Our line of Austin TX solar screens shading your windows will keep your windows from getting hot and will keep the inside of your home or commercial building CONSIDERABLY COOLER. The Austin Shade Team takes pride in delivering high-quality protection for your home or office with our custom made to order roller exterior patio shades, commercial window shades and Austin solar window screens. Our solar window screen pricing and outdoor patio shades pricing is hard to beat! Whether you need outdoor shades to provide protection from the sun for just one side of your property or the entire property, we will take care of your project with a smile on our face. And you too will have a smile on your face when we are through like the many thousands of Austin TX homes that currently wear our Austin Texas solar screens. 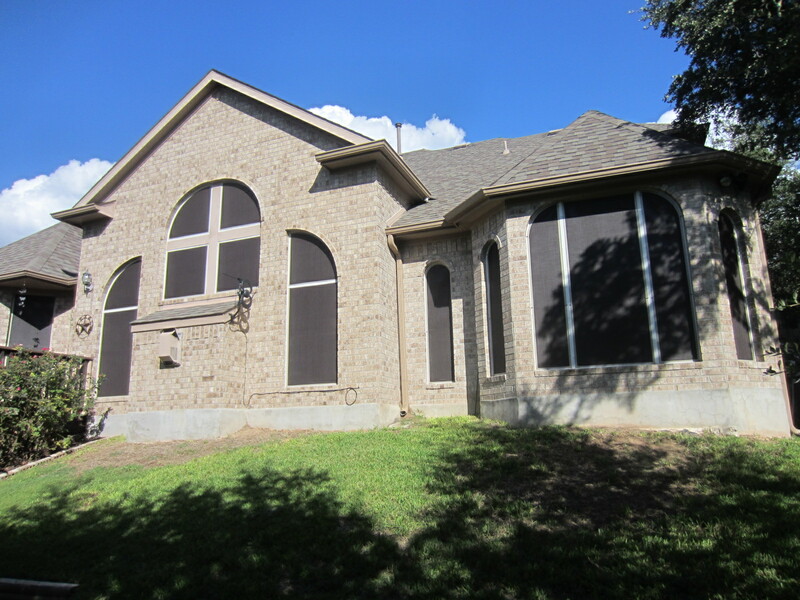 Stop the Texas heat and get shaded with our Austin solar screens for your windows today. Extremely transparent while looking out, our solar window screens are the simple and affordable solution that ensures your home stays cooler all summer long. Our Austin TX solar window screens come in six fabric colors and six frame colors. Plenty to choose from. And, we offer solar screen shade protection in 80% or 90% shade densities. 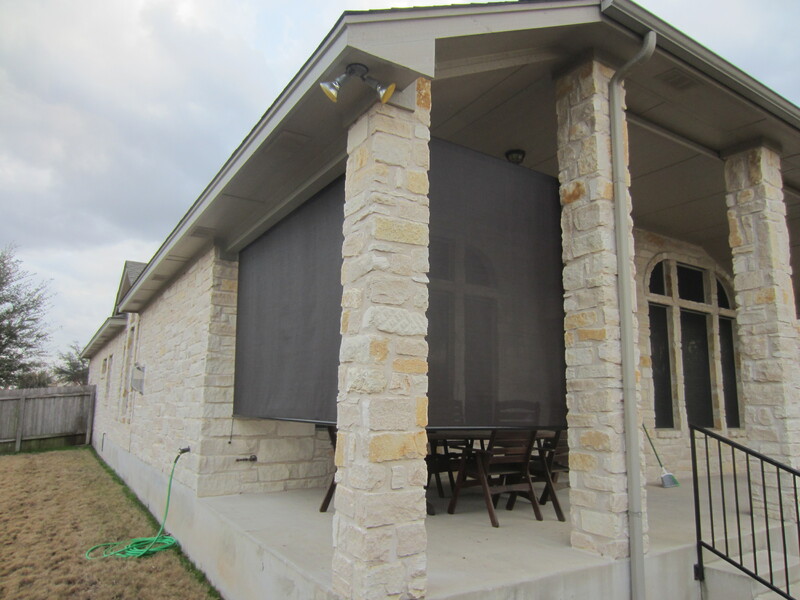 Stay cool and comfortable while enjoying your patio with our custom made Austin TX exterior patio shades. We make all of our outdoor roller shades in-house, right here in Austin, Texas. We are the manufacturer and installation experts. We know roller patio sun shades. Find out more about what makes the Austin Shade Team so great, and schedule your consultation today. We look forward to making your home or commercial property comfortably shaded with our Austin outdoor shades or Austin office window shades.